We’re proud to be sponsoring this year’s Ethical Consumer conference, which takes place on Friday 20 October at the Amnesty International Resource Centre, 25 New Inn Road, Shoreditch, London, EC2A 3EA. The theme of the conference is ‘Challenging Corporate power in a changing political landscape’ and Paul Ellis, Ecology’s CEO will be making a key note speech on the challenge of providing financial services that serve people and planet rather than corporate interests. Ethical Consumer has been at the heart of the ethical consumer movement, since 1989 and publishes the leading the UK’s leading alternative consumer magazine. 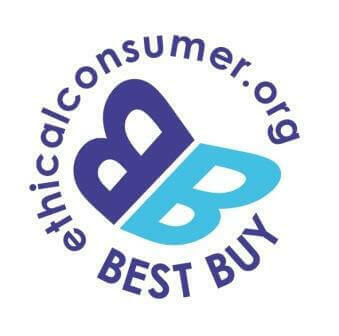 Last year we were once again selected as an ethical ‘Best Buy’ for our mortgages and savings accounts by Ethical Consumer magazine in its latest ethical product guide ranking. Ecology Building Society was rated as an ethical Best Buy for our mortgages and savings accounts by Ethical Consumer magazine in its product guide rankings (July/August 2016 issue). Ecology members and supporters can get a 10% discount off the cost of attending the conference. Just use the promo code: ‘ebs2017’ on the booking form on the conference website.